Comfort and spaciousness are exactly what you’ll need on your next 3-hour flight. If you’d like to avoid the hassles of long lines and cramped airports, hopping aboard the private Boeing 737-500 will be ideal. This aircraft has breathable and cozily styled cabins for passengers who’d like to make the most of their flying experiences. Its interiors are also equivalent to 130 passenger seats, and this amount of space can give you an idea of the many facilities which the aircraft can accommodate. These include divans and standard seats which have lengthy leg room for you to stretch your feet out. If you’re coming from Toronto, the Boeing 737-500 can fly you to as far as Nunavut or Georgetown, Guyana. Throughout a 3-hour flight, another feature which you’d find useful would be its WiFi connection. With internet access, you can stay connected with your friends, family and professional networks. Know more about the Boeing 737-500’s interior and performance details, and charter for your very own private service today. The Boeing 737-500 has enough room for its operator to place the convenient facilities you need. One of them would be the galley or food preparation area which contains compartments to store your food and drinks. Small appliances may also be added such as a microwave oven, coffee make and espresso machine and chiller. Other materials such as cutlery, plates and table napkins are additionally stored in one of the galley’s cabinets. If you’re traveling for business purposes, you’d be glad to find how its seats may be adjusted and its tables can be pulled out. The pull out table can be transformed into a workstation where your laptop may be placed. Check your emails and update your cloud based documents while in-flight. Stay on top of your projects as you have a comfy plus rested experience on the Boeing 737-500. This aircraft’s speed is even comparable to that of mid-sized planes. 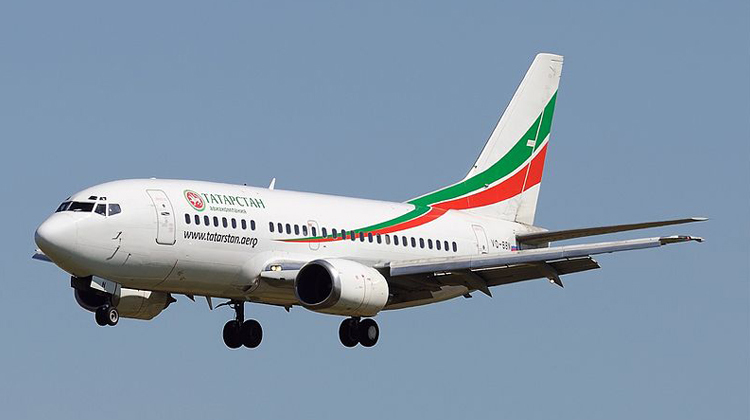 Given its space capacity and agility among the 737 series, the Boeing 737-500 is also known to be the most ordered among other units. Its luggage capacity is also quite generous. Thus if you’re flying to a conference and you’ll need to set up a temporary shop, you can bring your booth’s materials on board. This way, you won’t need to pay extra for the freight you’ll bring along. For leisurely travels, you can bring your hobbies’ related equipment so you can enjoy your passion even when you’re out of the country. Will you happen to max out the flying range of this plane? Then it would be best to confirm your allowable baggage weight and passenger count with the operator. They’ll be advising your load details, in reference to the best combination of routes and schedules of your flight plan. Generally, a lighter aircraft leads you to reach farther destinations at much faster paces. Manufactured by Boeing Commercial Airplanes, the Boeing 737-500 was first introduced during 1987 with Southwest Airlines as its commercial operator. Some of the commercial airlines which followed suit in ordering the plane were Russian Airlines, Sky Express and Yamal Airlines among others. 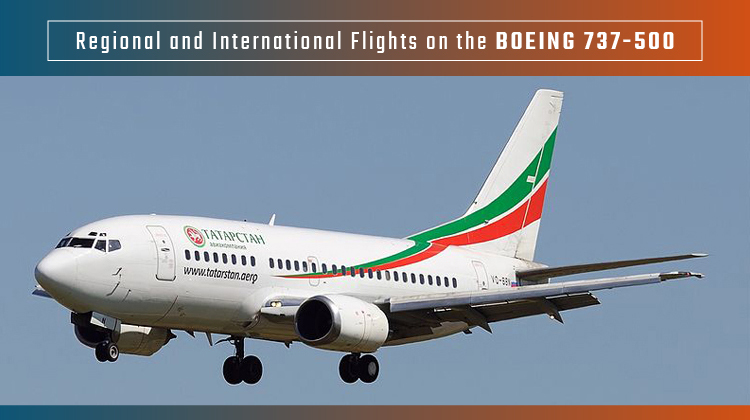 Today, a total of 389 Boeing 737-500s were produced and are being flown all over the world.